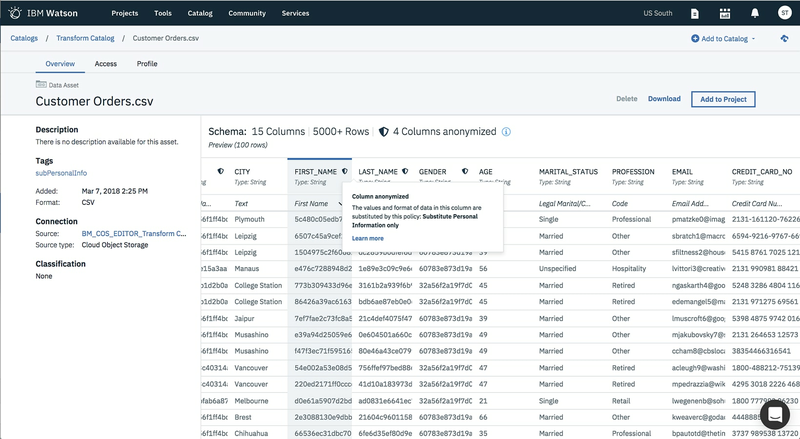 Activate data for AI and analytics with intelligent, collaborative cataloging, backed by dynamic data access policies and enforcement. 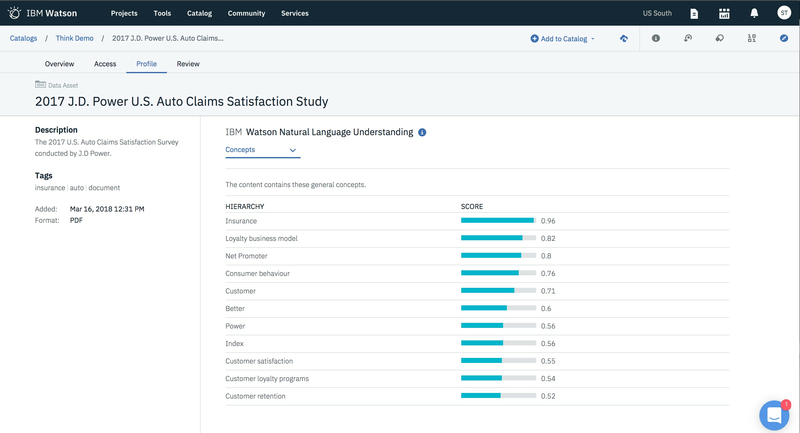 IBM Watson® Knowledge Catalog powers intelligent, self-service discovery of data, models and more, activating them for artificial intelligence, machine learning and deep learning. Access, curate, categorize and share data, knowledge assets and their relationships, wherever they reside. 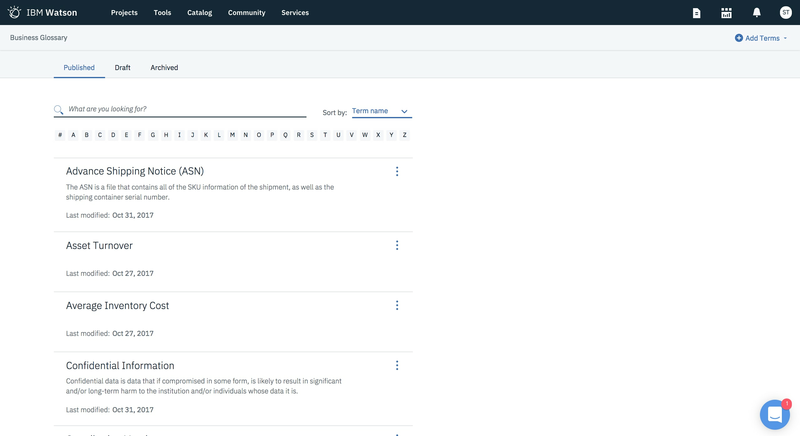 Curate and shape analytic assets, including structured and unstructured data, machine learning models and notebooks. 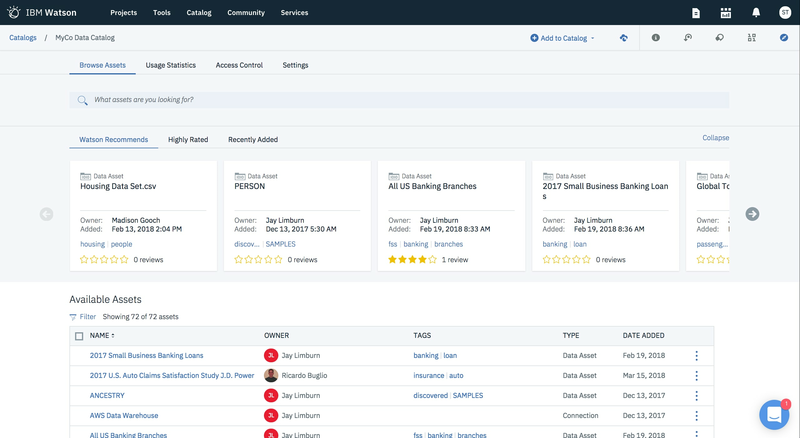 Protect data misuse and confidently share assets previously unavailable to AI application development with the automated, dynamic masking of sensitive data elements. 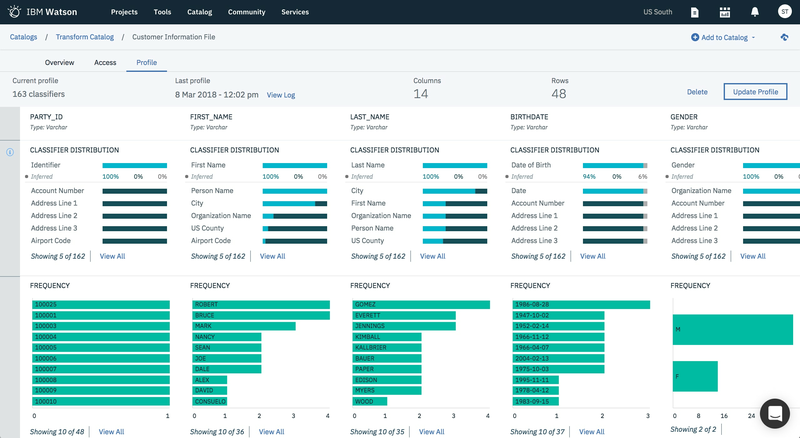 Automatically profile and classify structured and unstructured data, helping users understand what is in their data. 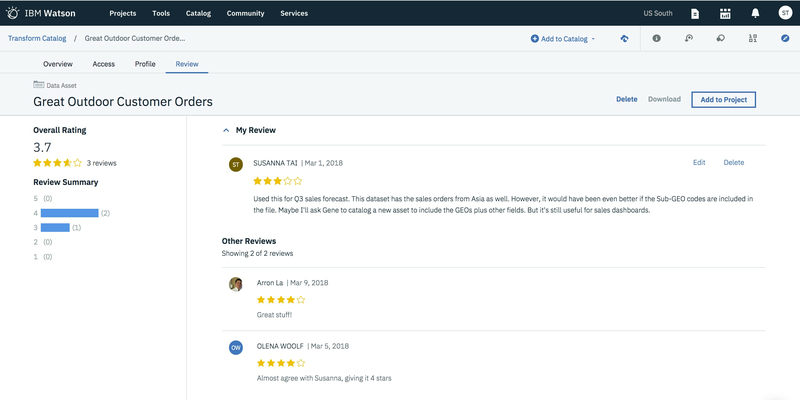 Seamless integration with Watson Studio means data scientists and knowledge workers can quickly drive productive use of their data in a suite of powerful data science, AI, ML and DL tools to build, train and deploy models. Interactively discover, cleanse and prepare your data. 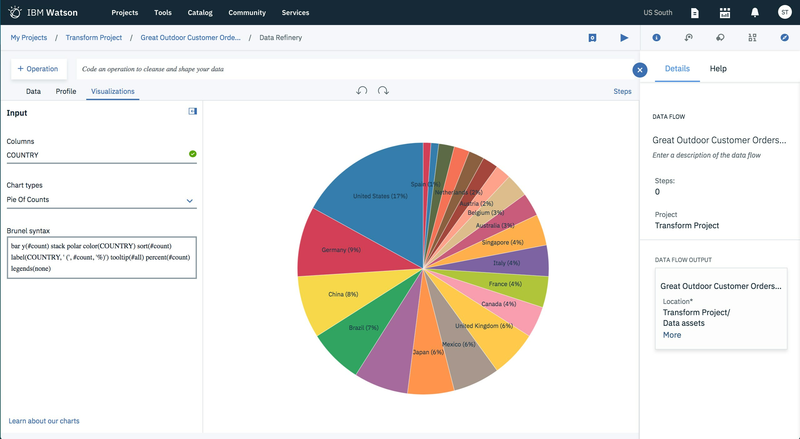 Understand data quality and distribution through data profile visualizations, built-in charts and statistics. Analyze text to extract metadata from content, such as concepts, entities and sentiment. Empower knowledge workers to take action on insights through access to trusted data, self - service analytics, visualizations and data delivery. 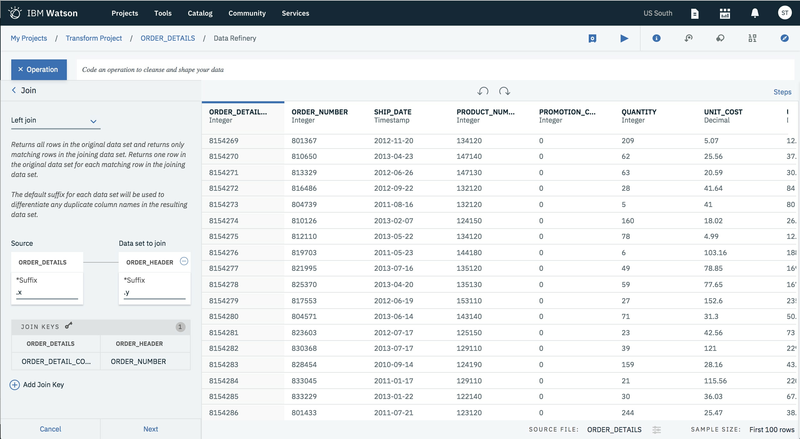 Using Watson Knowledge Catalog and Watson Studio, Data Refinery saves data preparation time by quickly transforming large amounts of raw data into consumable, quality information. 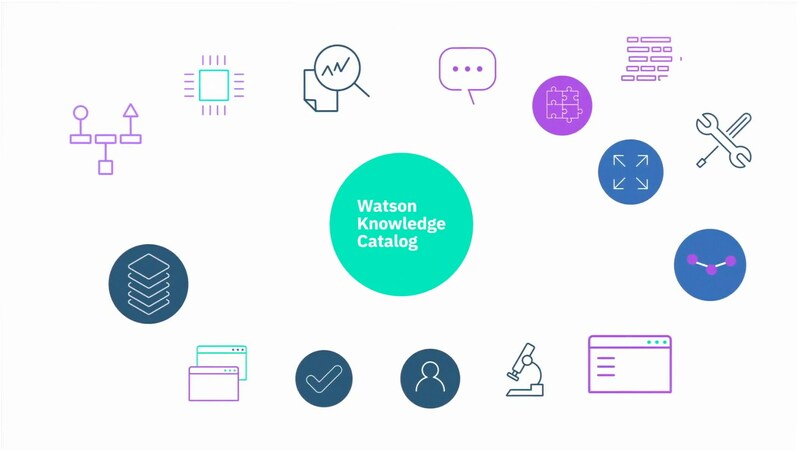 Watson Knowledge Catalog is generally available.